Dontnod (Life is Strange) and Focus Home Interactive announced today that Vampyr is launching in November 2017 for PlayStation 4, Xbox One, and PC. 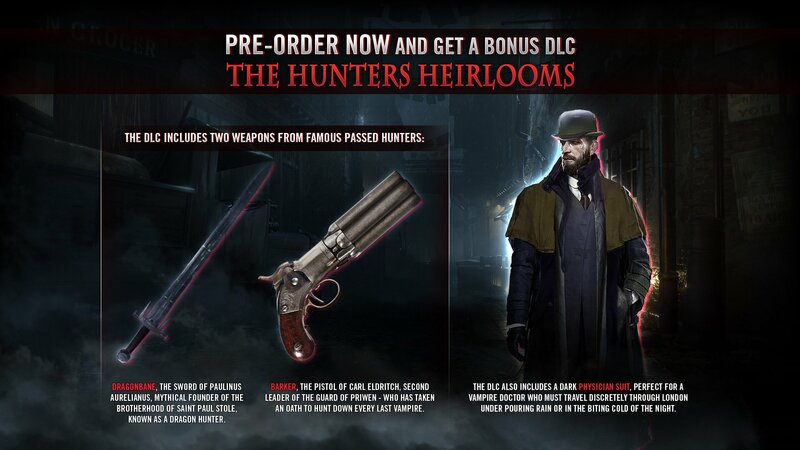 It’s priced at $59.99 USD, and pre-ordering gets you The Hunters Heirlooms DLC, which includes Dragonbane, the sword of Paulinus Aurelianus, Barker, the pistol of Carl Eldritch, and a Dark Physician Suit. In the new E3 2017 trailer released today, you’ll get three minutes of uncut footage from the action-RPG, taking you through 1918 London’s dark alleys, underground passages, and corrupt neighborhoods. You’ll also catch a glimpse of The Ascalon Club, a society formed by the richest vampires. Prowl the disease ridden streets in Vampyr – a darkly atmospheric action RPG from the studio behind Remember Me and Life is Strange, developed using Unreal Engine 4. Set in early 20th century Britain during a bout of the lethal Spanish flu, the streets of London are crippled by disease, violence, and fear. In a completely disorganized and ghostly city, those who are either fools, desperate, or unlucky enough to walk the streets lay prey to Britain’s most elusive predators: the Vampires. Emerging from the chaos, a tormented figure awakes; as the player you determine how to harness your new powers, by specializing in deadly, versatile RPG skill trees that change the way you play. As a doctor recently turned into a Vampire, you try to understand your new affliction. Your quest of intuition, discoveries, and struggles will be filled with death and drama as you attempt to stem the irrepressible thirst that constantly drives you to take human lives. As you cling to what remains of your humanity, your decisions will ultimately shape the fate of your hero while searching for answers in the coughing, foggy aftermath of the Spanish Flu. During E3 2017, 45 minutes of new Vampyr gameplay will be revealed.